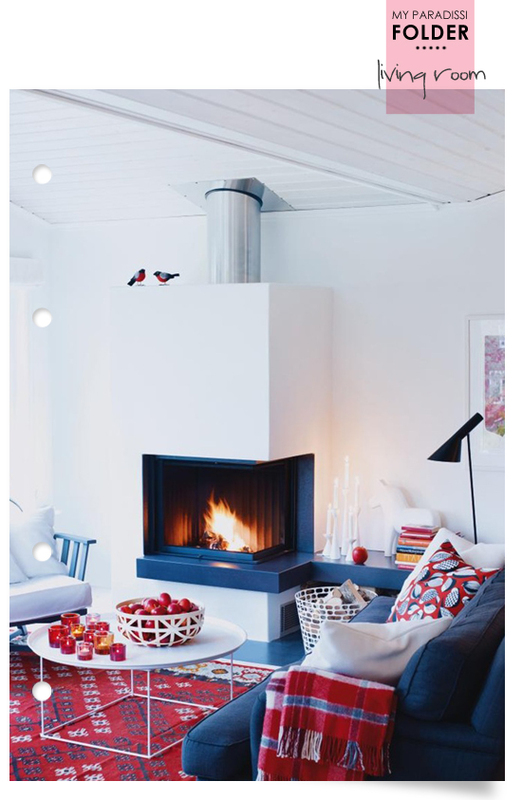 Love this modern fireplace compromised, in a good way, by all the warm, deep reds, the textures and the candles scattered around the place. The result feels so cozy! 7 comments on "Folder: Living room"
Mou aresei episis poli to sindiasmo tou kokkino me to skouro ble, poli chic kai s'auto to saloni episis cozy!!! Xairomai pou to anafereis to mple! Ontws tou anevazei to epipedo tou xwrou autos o syndiasmos, ase pou pisteuw oti to kanei kai pio all year long style! Symfono apolyta me thn Vanda to kokkino me to skoyro ble poli chic !!!!! Such another eye therapy post from myparadissi!I love it!